Present your baby with a birthday cake for her to dig into. 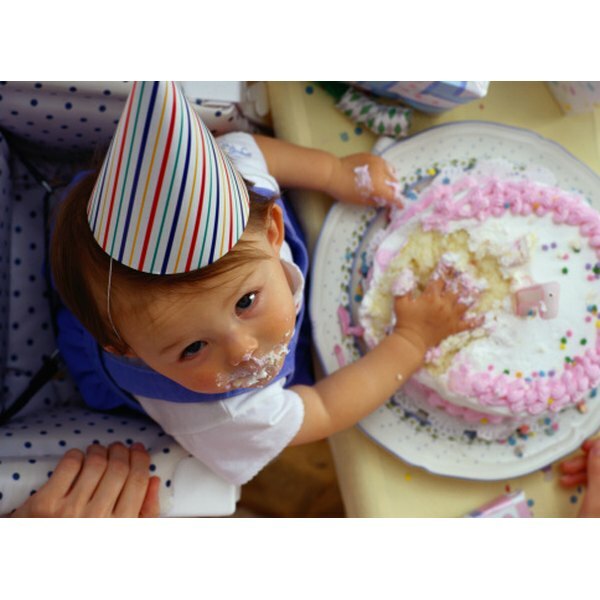 Your baby's first birthday is indeed a milestone in parenting, and an event your little one will look back on fondly when he's older--especially if you organize the perfect party. 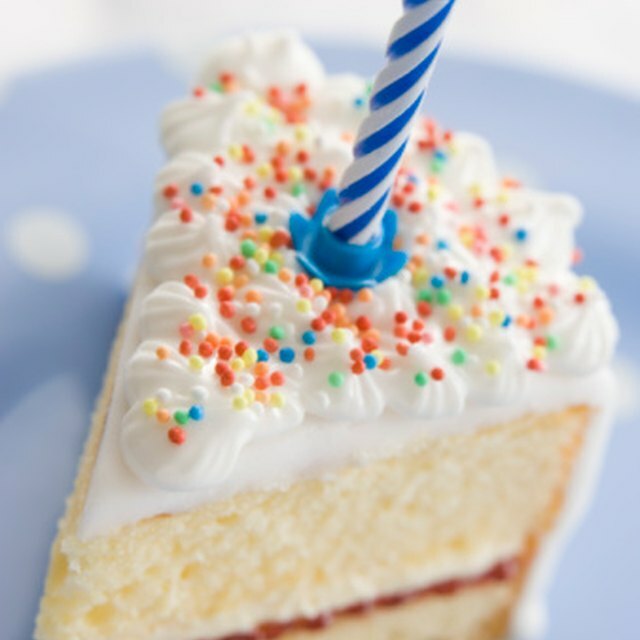 A birthday celebration for a one-year-old should be simple, with a small guest list and minimal decorations. However, adorning the celebration with colors and items that your little one has already taken an interest in, an inviting loved ones who will have a lasting relationship with your baby will make the birthday party especially significant. Plan for your 1-year-old's party in the late morning or early afternoon hours, so you don't conflict with your little one's nap-time. A cranky guest of honor makes for a party no one can really enjoy. It's also best to keep the party short; of course, you can always socialize with your loved ones while you 1-year-old is napping. Select a theme for the birthday party. Think about the cartoon characters or colors your child is drawn to for inspiration. For instance, if you've decorated your little boy's nursery in shades of blue and green and you notice that these colors seem to calm him or put him in a good mood, use these shades for the balloons, streamers and cake. Purchase invitations that fit the party's theme. Since this is your child's first birthday celebration, the smaller the crowd, the better. In addition to you and the baby's other parent, siblings and immediate family, it's best to invite a close friend or two of yours with a child that is close in age to your baby. The child's grandparents and your siblings or in-laws (especially those with children) who live in the area should also receive invitations. Buy the table decorations for the birthday party a day ahead of time, like mini balloons for a centerpiece, a tablecloth in a color that will get your baby's attention and plates, napkins and plastic-ware that fit the party theme, like baby animals or stripes and polka dots. Purchase a DVD of your child's favorite cartoon or children's show to play during the party, along with some snacks to serve at the celebration, like baby carrots and cream cheese dip, mini pretzels and animal crackers. If you don't already have a digital camera or camcorder, purchase one for this special occasion so you can put together a birthday scrapbook for your baby. Bake or order the birthday cake for the party. It's a good idea to make a small cake or cupcake for your baby to devour at the party, and present a larger cake to your guests. Set up the party table with the decorations, the presents you've purchased for your baby and the party snacks on the day of the celebration. Pick up the cake from the bakery at least 30 minutes before guests arrive. Put in the DVD to play in the background as guests arrive and set up the camera to catch your baby's reaction to the festivities and enjoy the party.